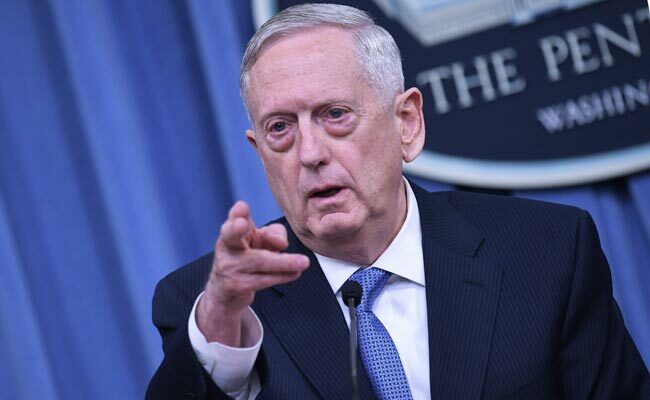 SEOUL: US Defence Secretary Jim Mattis issued a stern warning to North Korea on Saturday and said that despite North Korea’s ongoing missile and nuclear programmes, it is simply no match for the US-South Korea alliance. During the joint appearance with South Korean Defence Minister Song Young-moo, Mattis acknowledged that the threat of a nuclear missile attack by North Korea was accelerating. The CIA says North Korea could be just months away from being capable of hitting the US with a nuclear strike, Reuters reported. Mattis accused the regime of Kim Jong Un of illegal and unnecessary missile and nuclear programmes—and vowed to defeat any attack. He said the North engages in “outlaw” behaviour and that the US would never accept a nuclear North. He added that regardless of what the North might try, it is overmatched by the firepower and cohesiveness of the decades-old US-South Korean alliance. “I cannot imagine a condition under which the United States would accept North Korea as a nuclear power,” he said. As he emphasised throughout his weeklong Asia trip – which comes ahead of President Donald Trump’s own scheduled tour of East Asia next week—Mattis said diplomacy remains the preferred way to deal with the North. Mattis’s comments in Seoul did not go beyond his recent statements of concern about North Korea, although he appeared to inject a stronger note about the urgency of resolving the crisis. Also discussed were the conditions under which South Korea would be given wartime operational control of its forces. Currently, if war with the North broke out, the South’s forces would operate under the US-led UN Command. Trump entered office declaring his commitment to solving the North Korea problem, asserting that he would succeed where his predecessors had failed. His administration has sought to increase pressure on Pyongyang through UN Security Council sanctions and other diplomatic efforts, but the North hasn’t budged from its goal of building a full-fledged nuclear arsenal, including missiles capable of striking the US mainland. “If it remains on its current path of ballistic missiles and atomic bombs, it will be counterproductive, in effect reducing its security,” he said. The North says it needs nuclear weapons to counter what it believes is a US effort to strangle its economy and overthrow the Kim government.